T-90MS at Russia Arms Expo-2016. The Indian military has pre-approved a $ 2 billion contract for purchase of 464 Russian T-90MS ‘Tagil’ tanks. 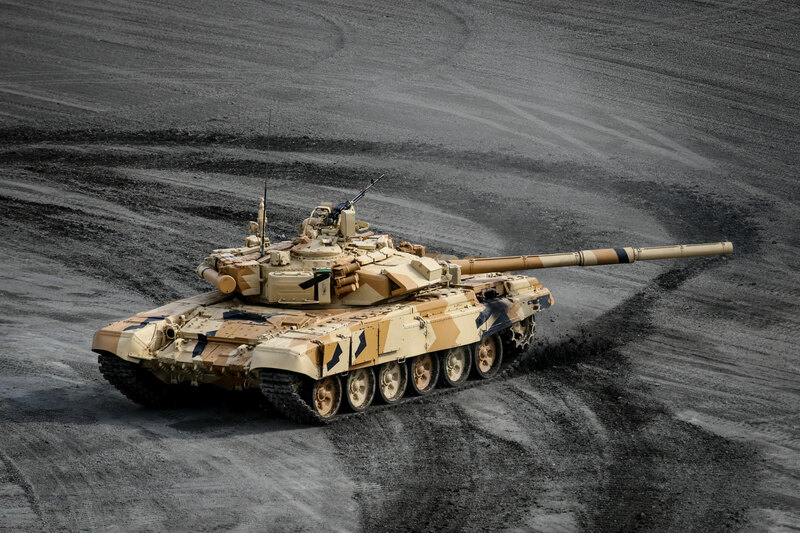 The Uralvagonzavod management, which makes the T-90, considers the tank most suitable for the Indian army’s rearmament programme for a new main battle tank. The Indian Defence Acquisitions Council (DAC), chaired by India's Defence Minister Manohar Parrikar, has pre-approved an armaments modernization project for the Indian armed forces for a total sum of 821 billion rupees (over $ 12 billion), the Times of India (TOI) reported. "This confirms Russia’s place in the global market as the largest developer, manufacturer and supplier of armoured vehicles. The T-90MS will allow Uralvagonzavod (UVZ) to reach a higher level of production, while keeping all the features of earlier T-90 tanks,” said Frolov. Frolov said that earlier, Indians did not fully realize the potential of the licensed assembly of Russian tanks, even though they already have such an experience. "Some things will be made in UVZ and others in India. In any event, both for the domestic producers, as well as for the Indian party, it would be an advantageous contract", said a source of Gazeta.ru. "If we receive a request from the Indian partners to test the upgraded T-90S, Uralvagonzavod will be ready to send it to the test", said Siyenko. "I personally observed great interest, among the senior Indian military men, in the T-90MS tank at the Russian Arms Expo (RAE) exhibition in Nizhny Tagil", said Viktor Murakhovski, chief editor of Arsenal Otechestva (Russian military review – translator’s note). The ‘Tagil’ exhibition demonstrated combat techniques in action as part of military formations, and almost at the same site, next to the static display. "The Indians were really convinced of the high combat capabilities of the T-90MS, compared with the T-90 machine, which is available in service in India. T-90MS is definitely an entrance to a new level. And since this vehicle has new ammunition, we can say a new weapons system," explained Murakhovski. "India is therefore concerned about maintaining the military and technical superiority in the field of armoured vehicles. However, it would be rash to expect that the contract will be signed as early as tomorrow. In India, such things are not done quickly", said Murakhovski. Yeni Safak, Turkey’s pro-government newspaper and the Iranian news agency Fars reported that the T-90A was involved in attacks on militants. Online videos, posted by the Syrian SANA agency where these machines are shown, proved that Russian T-90As were used. The T-90 battle tank, built from 1980-1990 on the base of the T-72B, was named ‘Vladimir’ in honour of head designer Vladimir Potkin. The T-90MS is a modernized version of the tank’s export model, named ‘Tagil’. It is equipped with a 125-mm smoothbore gun – 2A46M-5 launcher, guided by missiles with laser-guided sight with thermal imager. The maximum sighting range of the armour-piercing shells is 4,000 m, and high-explosive shells – up to 9,600 m. The maximum range of the direct shot at the target height of 2 m. is 2120 m. The tank is also protected with dynamic protection against chemical and armour-piercing shells. At the customer’s request, the active protection Arena-E system to combat anti-tank guided missiles can be installed in the T-90MS.